Change the music industry forever. We are a new company based in Berlin. Our mission is to enable people to explore live music from the comfort of their homes. Together with the head of online marketing you have set up and continuously optimised concertVRs online marketing, branding and communications in German and English. You have set up, tested and optimised campaigns on Instagram, twitter, Youtube, Facebook, Telegram and Playstation based on your prior experience in online marketing. You have supported in the SEA and SEO strategy. You have developed and designed outstanding presentations, banners, flyers, e-books, white papers, blog-articles with Sketch, Canva, Keynote, or Adobe Photoshop & InDesign. You have defined the unique concertVRs communications & language standard & style including hashtags and emojis. 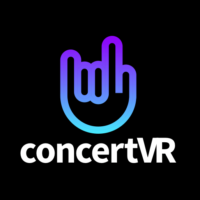 You have built the concertVR-community based on the vision to change the music industry forever on facebook & instagram, youtube.